After getting that great look of Jamie Foxx as Electro last week, we’re treated to an amazing (zing!) 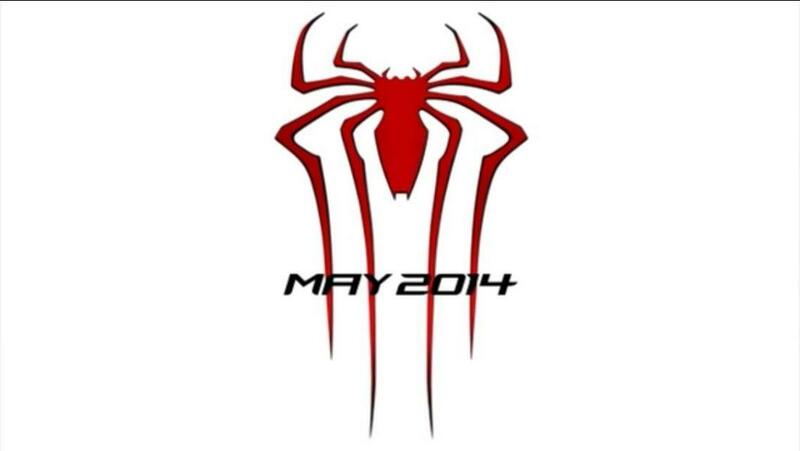 look at the new logo for the upcoming Spider-man movie. While the untrained eye may not even notice a difference, upon closer inspection, it becomes apparent that this version of the spider is actually a little more menacing. The legs are curved in more and have sharper tips while there seems to be more bends in them as well. This spider seems to be evolving into the venom/black suit logo as well. This is noticeable at the bottom of the spider where it comes into 2 points instead of just one. The thickness kind of makes me think of a more poisonous, dangerous arachnid as well. Lastly, there are pincers on the mouth too, adding to that menacing look. Take a peek at the new logo below and a fancy banner image that puts together Spidey and Electro with New York as the backdrop. Stay tuned to ComicUI as more news drops before SDCC opens up this month and don’t forget to vote in our ASM2 Poll this week! First Trailer of Hulk and the Agents of S.M.A.S.H.